There’s few places more charming in Ontario than Prince Edward County. Its rustic country appeal is augmented by the upscale-appeal of thriving vineyards and the money brought in by tourists visiting. This fall, I got to be one of those tourists, and I have rarely enjoyed a small getaway more. We opted to stay at The Grange of Prince Edward, a winery that recently opened a “Tiny Home” right out on the vineyard. The Tiny Home was lovely, and made even better with the complimentary bottle of sparkling Riesling in the fridge. After spending a night enjoying the comforts of the Tiny Home, we were treated to one of the most glorious fall days I’ve ever experienced and decided to hit the road on bikes (rented from the lovely Cassandra at Closson Road Cycles) and visit some wineries. The sparkling Riesling we found in our fridge was an absolute treat. I’m generally averse to hyper-sweet whites (especially the sparkling variety), but The Grange managed to create a refreshing, crisp sparkling Riesling that still managed to incorporate some of the grapes iconic floral notes. Without a doubt, however, it was the Grange’s Cabernet Franc that was the standout. Probably the best Cabernet Franc I’ve ever had, it was another of the select bottles we returned home with. Even if you’re not brought here by the Tiny House, the Cab Franc is worth the trip. Just down the street from where we stayed, I insisted on going to Broken Stone after trying their excellent Pinot Noir at a wine tasting. The small shop is charmingly set far back from the road with the vineyard to the side and back. 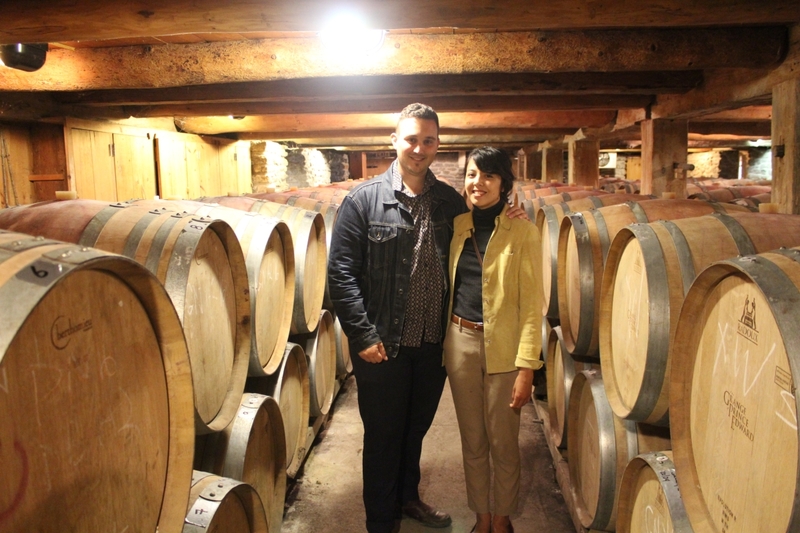 We met Tim Keupfer, a one-time Torontonian who, as he described it, “wore a suit to work,” and had decided to head to the country with his family to make wine. 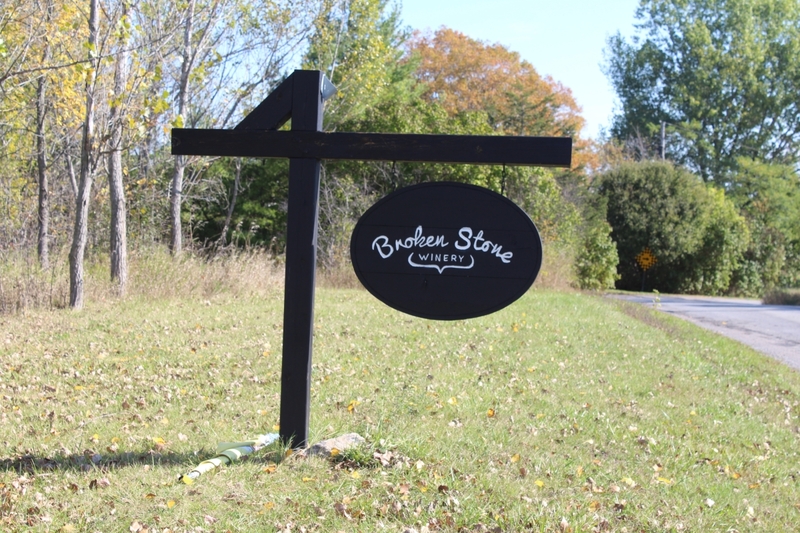 Friendly and incredibly knowledgeable, Tim was a treat to talk to as we sipped from a variety of Broken Stone wines. While I came for the Pinot Noir, it was their Chardonnay that impressed me most. Subtly crafted with a rich mouthfeel and a potent aroma, Broken Stone stole the white wine show for the day. In fact, while we initially had to pace our bottle buying, their Chard was one of the wines we biked back for at the end of the day to buy. If wine was judged exclusively on the brand surrounding it, Trail Estate would be among the world’s greatest. 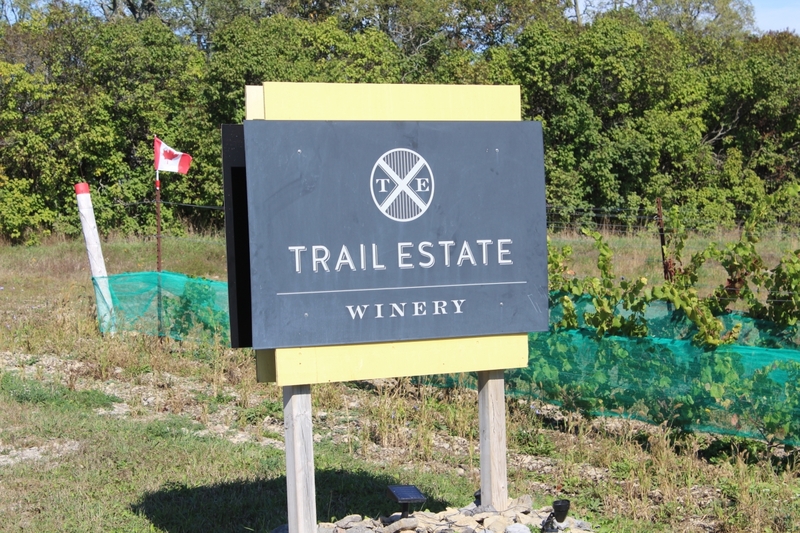 From the lovely design of their logo, beautiful signage, and recently-built, luxurious tasting room, Trail Estate was definitely one of the of the stand-out experiences we had in Prince Edward County. But it’s not what’s on the bottle, but what’s IN it that counts, and Trail Estate didn’t disappoint. We tried a range of their wines and they were all good – but a Cab Franc/Cab Sauv blend we had was a major highlight. All the wines we had were excellent though, and the prices seemed reasonable given the quality and opulent branding. Trail Estate is a great go-to if you’re looking to gift a bottle that both looks AND tastes impressive. 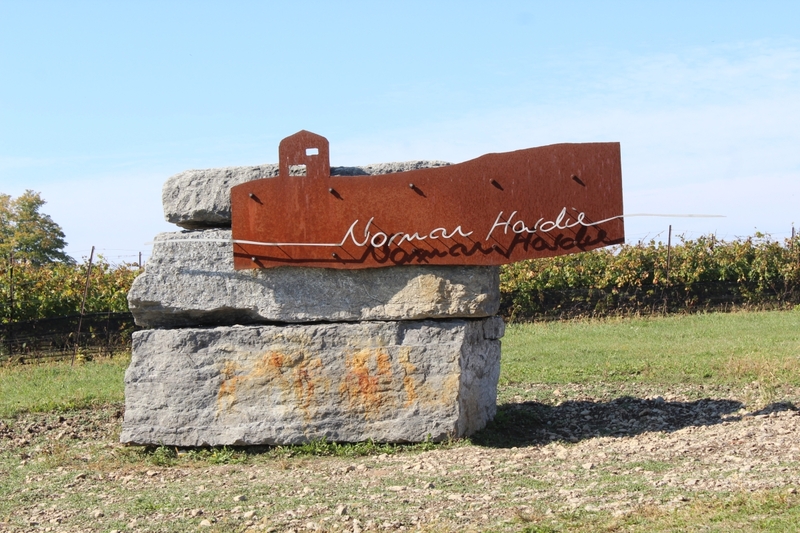 Ok, ok, I know – Norman Hardie is already on your list if you’ve been (or are planning on going) to Prince Edward County. Its reputation precedes itself. But allow me to reassure those wary of hype – it’s definitely worth the trip. Set quite a bit off the road down a steep drive (made for an interesting bike ride, I assure you) the winery is large, and the vineyard surrounding it even larger. If you know anything about Norman Hardie, you know they make good wine, and it truly was excellent. But the tasting experience itself was the cherry on top. The pours are ample and inexpensive, and the staff are there to walk you through it. At one point, I was trying two Cab Francs, one grown in Niagra and one from Prince Edward County but I had mixed up the glasses and couldn’t remember which was which. The gentleman staff member who poured my drink picked them up, and after a quick sniff identified them by terroir alone – the grapes are otherwise identical. Norman Hardie’s probably already on your list if you’re going for a visit, but if not make sure to include it! 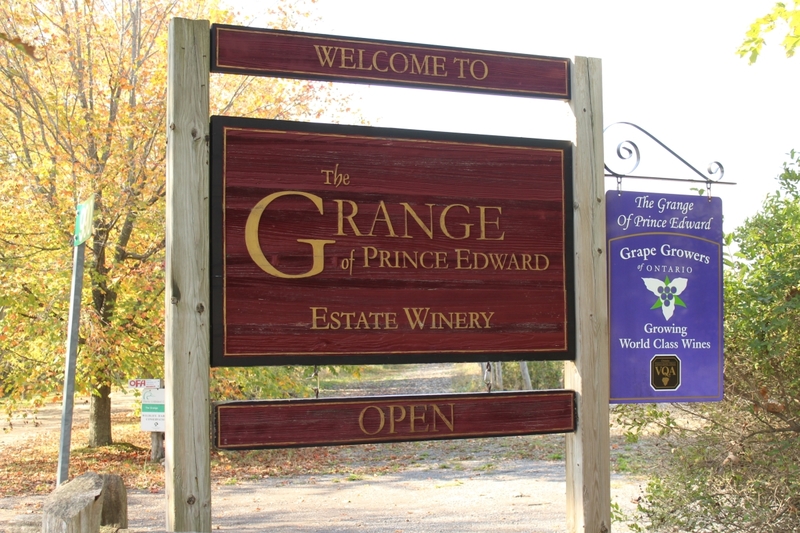 Prince Edward County is sure to be a lovely trip for wine nerds (and countryside enthusiasts) at any time of year. But it was especially beautiful in autumn, and I can highly recommend a trip at this time of year. While there are many wineries to explore, these are a few I quite enjoyed and plan on returning to. No matter where you end up, Prince Edward County wineries are definitely capable of serving up some wines worth sipping slow.